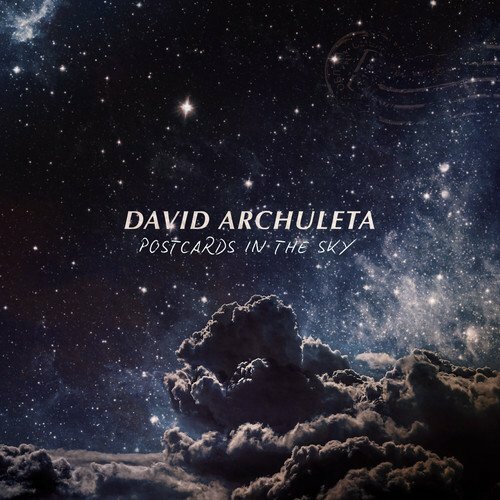 Platinum-selling international pop star David Archuleta will release Postcards in the Sky on October 20. This is David's first full-length project since 2013's No Matter How Far. Fans can pre-order the16-track LP, here: Postcards In The Sky. The album released on Archuleta's own Archie Music is one he started on after returning to the public eye following a two-year stint doing volunteer missionary work in Santiago, Chile. That experience, chronicled in songs like Numb and Spotlight Down, inspired Archuleta to change his approach to songwriting and go beyond his Top 40 roots. Here he focuses on honest, heartfelt lyrics that combine the process of self-reflection with the power of pop melodies. The music is all about saying, Wait a second, why am I doing this in the first place? Archuleta says, explaining where his head was at when he relocated to Nashville to start writing songs with Music City tunesmiths like former Civil Wars star Joy Williams, longtime Sheryl Crow collaborator Jeff Trott, Jeremy Bose, Trent Dabbs, Katie Herzig, and luminary producers Jeremy Bose, Cason Cooley and Jamie Kenney, among others. It was therapeutic working with them, Archuleta recalls. I wrote these stories [my career so far]. ... That was a great experience and I learned a ton, and now I m here and I m like, Wow! I get to create music, but this time I have my own reason to do it. Boasting a new sound to wrap itself around the golden-voiced savant s world-renowned singing, the music on Postcards bursts with a kaleidoscopic fusion of dance-pop hooks ( Up All Night ), lush balladry ( Say Me ) and dreamy synthesizer symphonies ( Postcards in the Sky ). These songs are about the struggle of finding your own voice and how hard it can be sometimes to believe in yourself, the singer explains. Archuleta took inspiration from the constellations for the project. The upcoming album as a whole serves that purpose to get people to look up and for something more, he says, whether that s looking for God, for a deeper connection to life or finding more of who they are. I m a huge believer that looking up will always serve a purpose, and we will move forward more filled and stronger. If you have any questions about this product by Archie Music, contact us by completing and submitting the form below. If you are looking for a specif part number, please include it with your message.